Lima lima Scientific Family Limidae. Lima Lima shells are filter feeding, found under rocks on reef flats. They are free-swimming, moving by clapping the two shell valves rapidly and forcing water out. The red coloration is due to the pigment hemoglobin. When disturbed, their sticky (but harmless) tentacles attach onto the predators and break off. 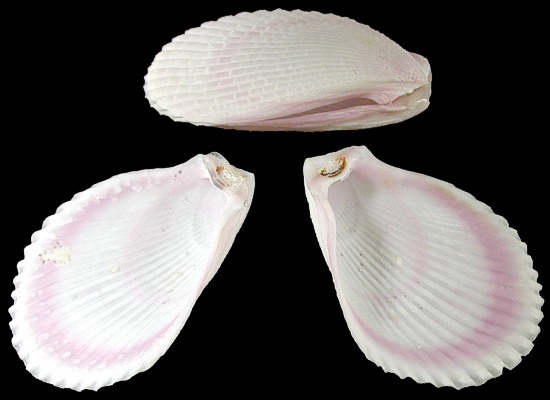 Lima Lima shell pairs are bivalves; which have a bottom and matching top shell. These shallow dwelling sea shells are commonly found across the Indo-Pacific region.